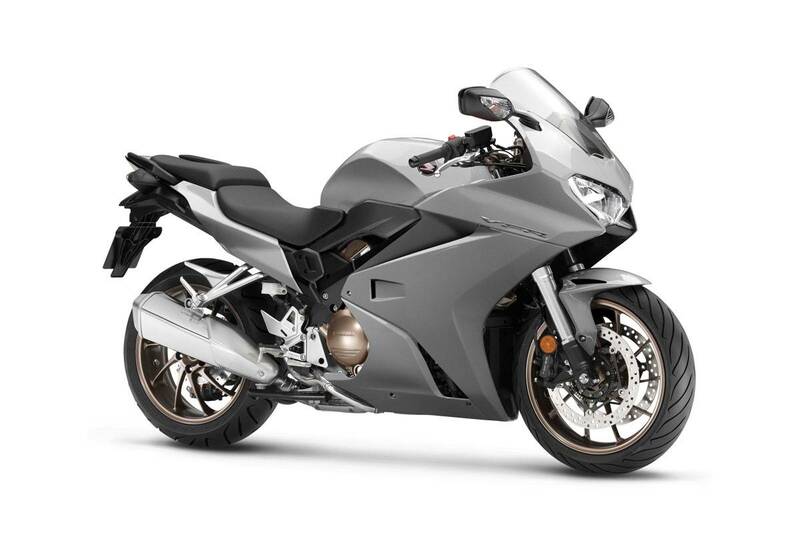 The legendary VFR800F has sharp, contemporary looks, telescopic fork, Pro-arm swingarm, wheels and for 2017 a revised exhaust system and addition of a STD Power socket. Other features include adjustable seat height, standard-fit Traction Control System, ABS, heated grips and Honda’s unique new self-cancelling indicators. 10kg lighter than the previous model, with the engine re-tuned for greater low and mid-range torque. Two factors were key drivers for Honda’s engineers in updating the VFR800F – firstly, to retain and expand the essential VFR qualities that inspire so many, and, secondly, to update the new model with modern features and technologies. The VFR800F’s 782cc, liquid-cooled 16-valve DOHC 90° V4-VTEC engine has received significant development – mainly focusing on cam timing and valve duration/overlap – to deliver the required increase in low-to midrange power and torque. Peak power of 77.9kW is delivered at 10,250rpm, with peak torque of 75.1Nm arriving at 8,500rpm. The diamond triple-box section aluminium twin-spar frame is unchanged; a revised die-cast aluminium subframe is 3kg lighter than the previous model. In total, kerb weight is reduced by 10kg to 239kg. Rake is set at 25°30’ with trail of 95mm and 1,460mm wheelbase.